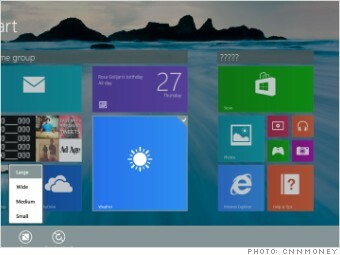 Savvy Windows users will find plenty to love about the new Windows update. Why we like it: In Windows 8.1, Microsoft (MSFT) gives users the ability to move entire groups of tiles to a new or existing cluster, and give them a name. Now that there's an easy-to-navigate, index-like view available for browsing of all your apps, you no longer have to put most of your apps in the Start menu -- only the ones you use frequently. How to use it: Right click or long press any tile to activate the menu. Click as many tiles as you want to move them all at once. Click the grey box above a group to add or modify the title for the tile cluster.